I traveled to Guantanamo Bay, Cuba for hearings in the Military Commission case against alleged al Qaeda member Hadi al Iraqi. The hearing, which had been postponed by one day, was set to begin at 10 a.m. today, Tuesday the 22nd of September 2015. Finally, at 10:45, the military judge commenced the hearing. It did not really surprise anyone that the first thing that occurred was that Hadi al Iraqi “released” his military defense counsel, essentially firing US Marine Corps Lieutenant Colonel Thomas Jasper and Air Force Major Ben Stirk, who had been representing Hadi al Iraqi. Hadi expressed his desire to have a civilian attorney represent him. The military judge ruled that the military defense counsel would be released, and would be replaced by other military defense counsel, probably Army Major Robert Kincaid. The Chief Defense Counsel, Marine Corps Brigadier General John Baker, had already tapped Major Kincaid for this role, but was still undergoing clearance review and briefings, and could not meet with Hadi until those processes had been completed. The military judge said that in the meantime, LTC Jasper and MAJ Stirk would still act as a “mouthpiece” for Hadi in communications with the military commissions. Carol Rosenberg, of the Miami Herald, published this article regarding today’s proceedings indicating the paralysis of the commission’s lone non-capital case. 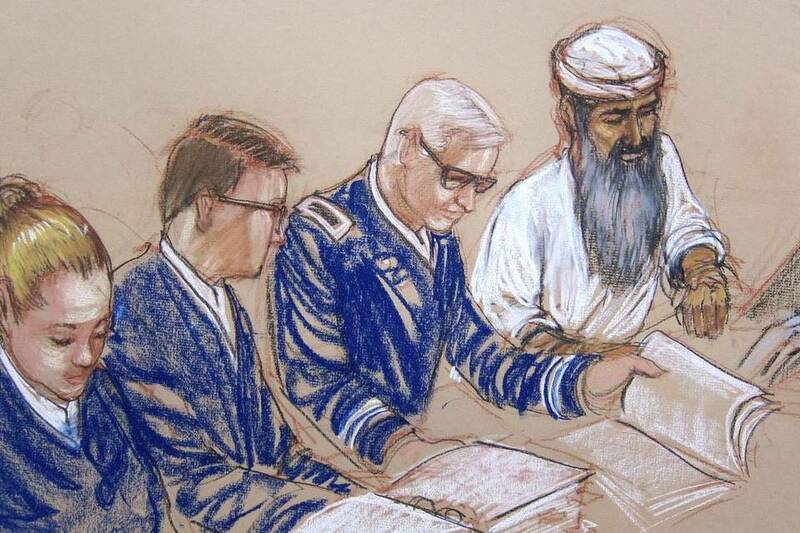 This Pentagon approved sketch by court artist Janet Hamlin shows Hadi al Iraqi during his arraignment in June 2014. Second from the left is Hadi’s now former counsel, Air Force Major Ben Stirk. As was explained on our tour of the Expeditionary Legal Complex (ELC), there was a 40 second delay during the hearing with what was happening in the actual courtroom to the audio video feed we saw on five TV screens from the gallery. What is said in the courtroom must be vetted through an intelligence officer to help ensure nothing classified is leaked and has to be translated. 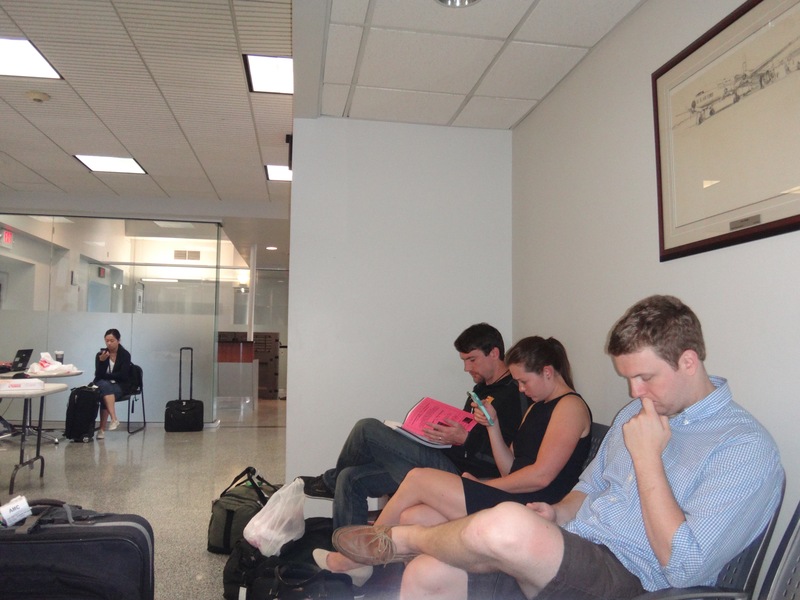 The delay can cause some confusion as to what is happening in the courtroom in real time and the delayed audio. For example, at the conclusion of the hearing, everyone in the courtroom and in the gallery were given the “all rise” order in real time, while the audio from the previous 40 seconds of hearings was still going. Other than that, the delay didn’t really cause much of an issue during this hearing. Most of the observers simply watched the screen in front of them instead of watching the happenings in the courtroom through the glass. 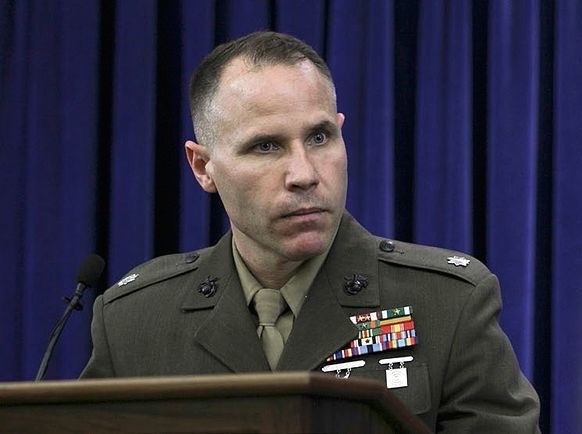 Hadi al Iraqi’s former defense counsel, US Marine Corps Lieutenant Colonel Thomas Jasper. One of the highlights of this mission was the post-hearing meeting with Hadi’s newly-former defense counsel, LTC Jasper. He talked to us for a solid hour about his experience as Hadi’s counsel, his feelings on being fired, and his opinions about the military commission system. LTC Jasper represented Hadi for about a year, and he said that over that period of time built a good personal relationship with him. All indications are that it will take time for MAJ Kincaid to come up to speed on the case and build a rapport with Hadi. LTC Jasper explained that even though Hadi didn’t tell him why exactly he was firing his attorneys, LTC Jasper attributed it, in part, to the distrust Hadi has with the military commission system and that Hadi’s fellow detainees (his “brothers”) all have civilian counsel. In my opinion, it is a miracle that LTC Jasper was able to build any kind of rapport with Hadi given the logistical issues of meeting with his client, and the fact that LTC Jasper was a Marine Corps officer that served in Iraq and Afghanistan around the same time Hadi allegedly commanded elements of al-Qaeda. 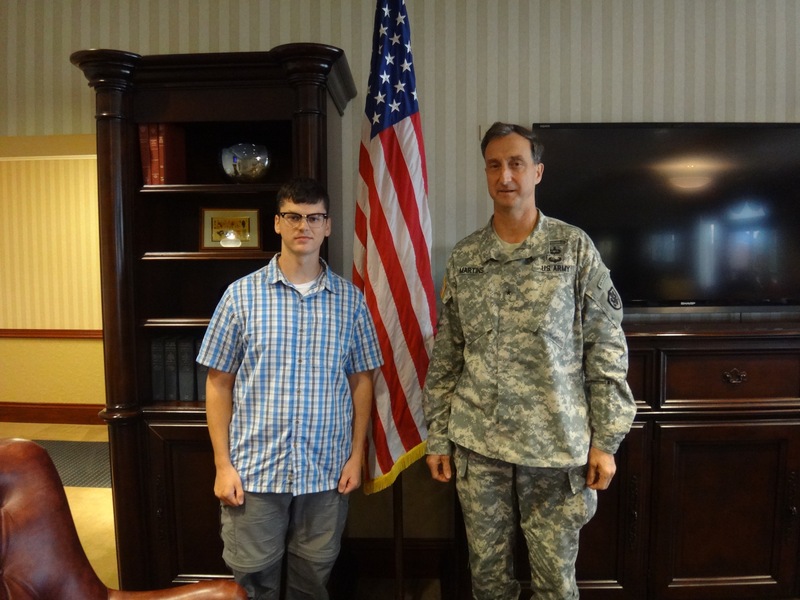 As now former defense counsel, LTC Jasper was very candid with us when talking about his views of the military commission system. Based on what I have read and observed about the military commission system I was not surprised when I heard LTC Jasper’s observations and opinions he gained from his experience in working within the military commission system. I was very impressed to hear a Marine Corps Lieutenant Colonel, with as much experience as he has be so candid and down to earth. LTC Jasper expressed disappointment, though I can’t quote him as saying so, perhaps a bit of relief as well. He indicated he has already accepted a non-litigation job at the Pentagon. Following the hearing, our Office of Military Commission (OMC) escorts drove us to the various areas of interest on the base. Though Guantanamo Bay is synonymous with the infamous detention facilities, it is a naval base of 45 square miles (Camp Atterbury, Indiana is approx. 54 square miles, the US’s largest military base, Fort Bragg, North Carolina is approx. 254 square miles) with the typical military base accommodations. It has a military grocery/department store (Navy Exchange, or NEX for short), souvenir shop, radio station (which we toured), very large recreation and gym facilities, housing, schools, and restaurants (yes, there is a McDonald’s and a Jamaican run Irish-pub). Not typical of military bases, at least the ones I have been on were the beautiful beaches, lighthouse, and large reptiles. Also the Internet is incredibly poor. Odd considering that Internet is often the only lifeline military members deployed have to their loved ones back home. A special area of interest we stopped at but could not tour, was Camp X-ray, the infamous temporary detention camp that received its first prisoners in January 2002. 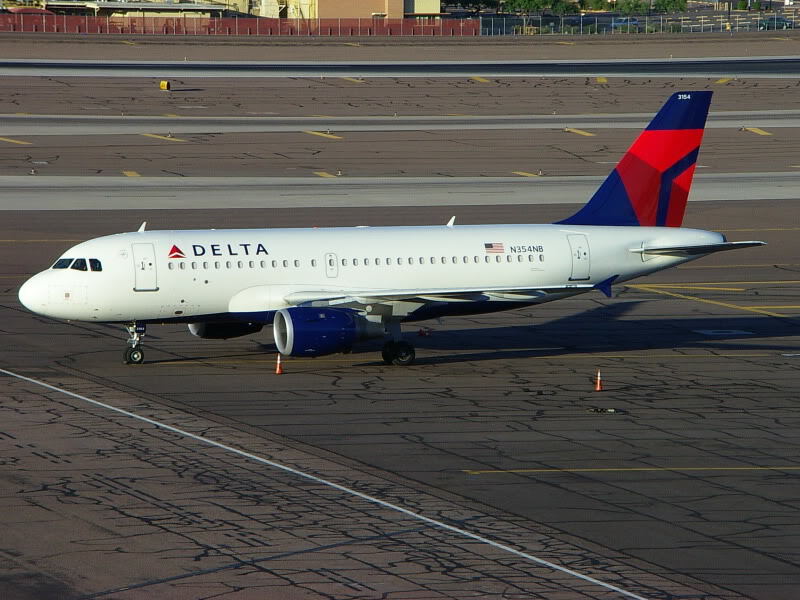 A Delta Airlines Airbus A319 (file photo). Definitely a much more comfortable way to fly than by military plane. After a 24-hour delay, and some slight troubles getting on Joint Andrews Base, I got checked in for my flight out to the Naval Station at Guantanamo Bay, Cuba (GTMO) to observe hearings for alleged al-Qaeda commander, Abd al Hadi al Iraqi. Our group of NGO observers consisted of 8 attorneys and law students from different schools, and 1 non-attorney. We originally had 11 observers but lost 1 due to security clearances issues and 1 due to illness. While waiting, some of the observers had positive things to say about the Guantanamo Fair Trial Manual. I was fully expecting to fly on a military cargo/passenger plane. 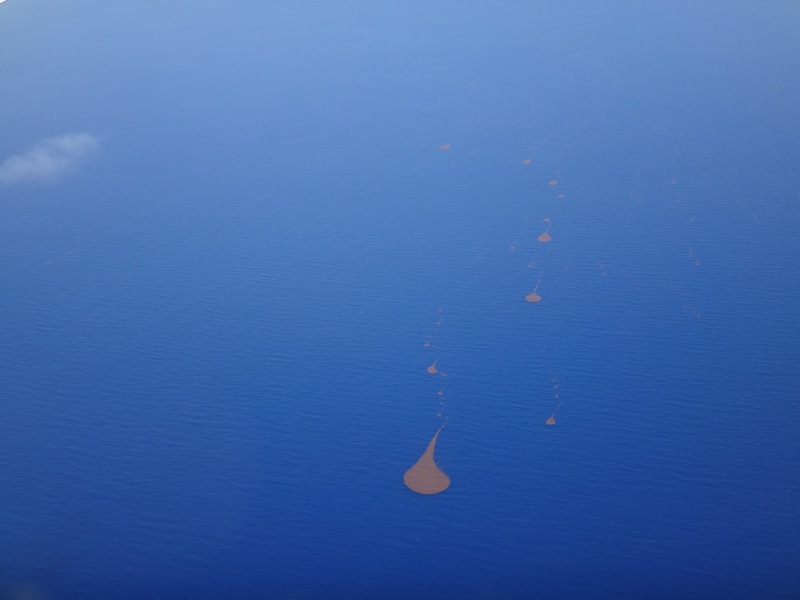 Odd droplet shaped formations dot the ocean near the Cuban island. However, we ended up flying on a chartered Delta Airlines Airbus A319. The flight contained us NGOs and our escorts, the Judge and his staff, the prosecution, a few press members, and Office of Military Commission staff, among others. The flight lasted about 3 hours. It was uneventful, other than seeing weird spots in the ocean. 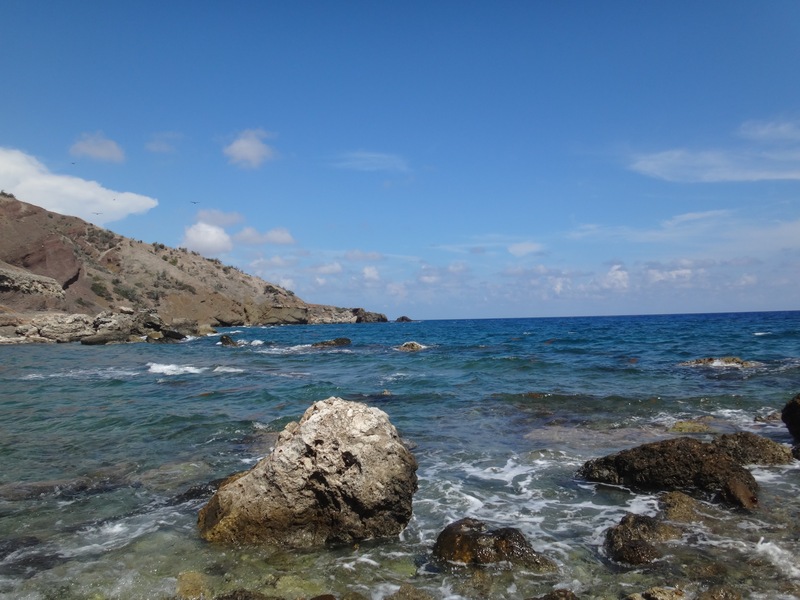 One of observers with a background in oceanography later explained the odd drop shapes in the ocean were algae formed in part by an el Niño weather pattern. 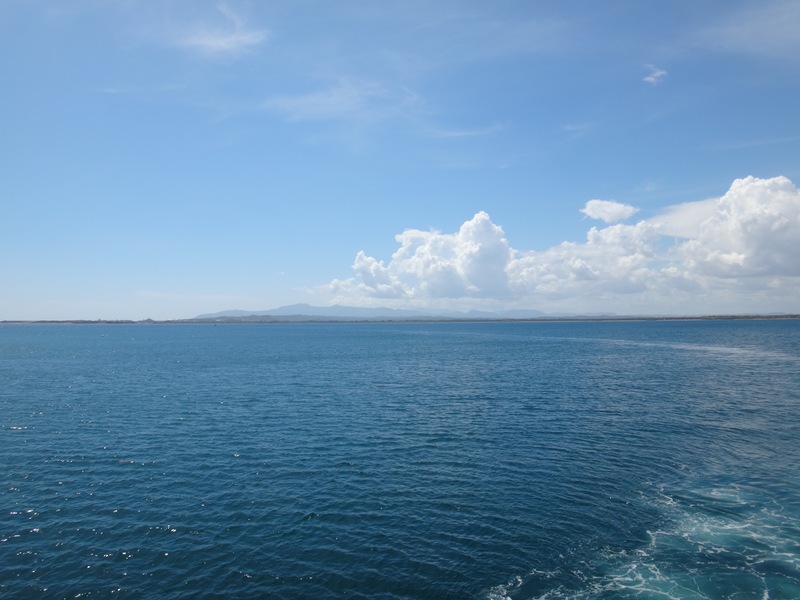 After landing at GTMO we got into a van and drove on to a ferry to make the 30-minute trip from the windward side of the island. It was a very beautiful ride. Ferries shuttle people across from the airport on the leeward side to the windward side of Guantanamo Bay. Our NGO escorts got us settled into our temporary work and living quarters at Camp Justice, the location for the military commissions sitting on a former airfield. The NGO lounge is where various NGOs keep their materials, and is a meeting place for observers to discuss the day’s events. It is located in a room inside a dilapidated airplane hanger/tower building. 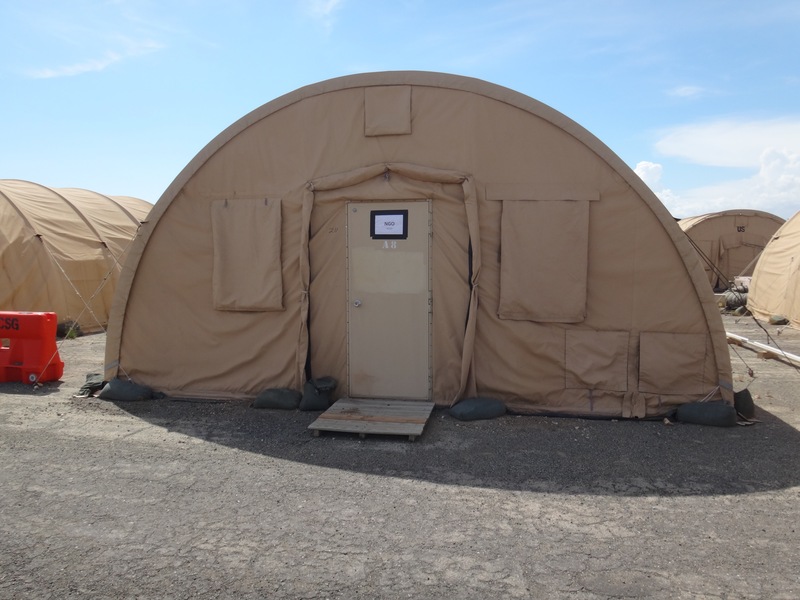 The NGOs, press, and other personnel staying at GTMO for brief periods stay in the tents. The tents are kept super cold (probably around 55-60 degrees) to keep the local wildlife out. I luckily was given enough of a heads up to bring a sleeping bag, a sweatshirt, long johns, and a winter hat. One of the many tents of Camp Justice. This particular tent is one of two Male NGO tents. Shower and bathroom facilities are housed in different tents. The NGO’s and two members of the media were given a tour of the Expeditionary Legal Complex (“ELC”) that was built to try the five 9/11 defendants. It’s a 12-million dollar facility located on Camp Justice, with a courtroom that contains state of the art transportable equipment. Aside from the courtroom, the facility also contains meeting trailers for the prosecution and defense, a Quick Reaction Force room in case something happens, holding cells with arrows on the floor pointing to Mecca, CCTV feeds, and a full body scanner that avoids the need for strip searches. Preparations have begun for tomorrow’s hearings. The prosecution, defense, and judge met in a private session to presumably discuss the issues to be talked about tomorrow on the record. NGOs reviewed the Guantanamo Bay Fair Trial Manual, and I feel prepared for my mission. I look forward to seeing what happens. 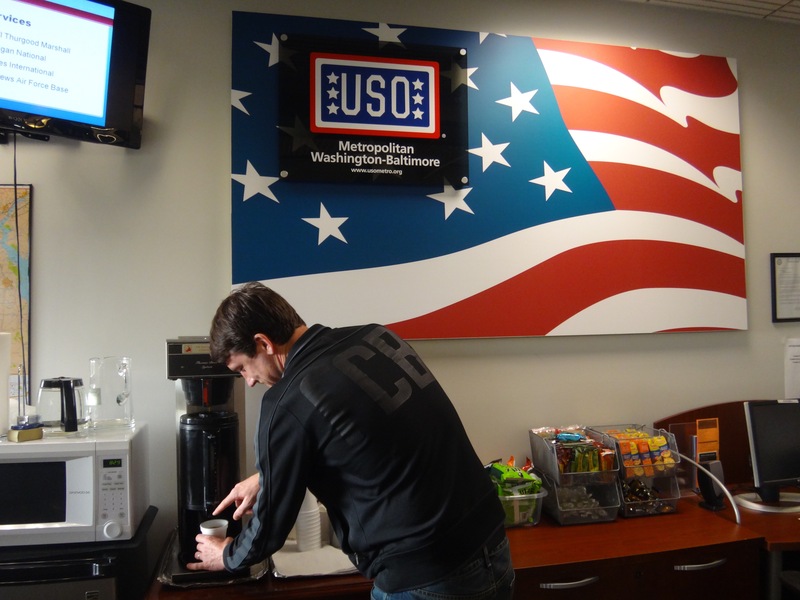 I checked in early this morning at the Joint Base Andrews (a.k.a. Andrews Air Force Base) Passenger Terminal for my flight to Guantanamo Bay Naval Station, Cuba (GTMO) to monitor hearings in the war crimes case against Hadi al Iraqi. A gentleman announced that for reasons beyond their control, our mission to Guantanamo Bay has been pushed back 24 hours. The 2-hour delay on my flight yesterday from Indianapolis suddenly seemed insignificant. I heard through the grapevine that the GTMO airfield was jammed with aircraft from an air show, and that this information was notconveyed to the Military Commissions in a timely manner. Also, it is no secret that Pope Francis is in Cuba, and as I mentioned before,there are rumors that he will travel to Guantanamo Bay before he flies to the U.S. later this week. All the observers were granted TDY (Temporary Duty) orders, which provides us with funds to cover meals and a hotel for the night. While we waited for a briefing from Brigadier General Mark Martins this morning, observers were able to introduce ourselves to each other, and tell a little bit about what we do and what school or organization we are representing. We have what looks like an interesting mix of observers from around the U.S. Shortly after the delay was announced, our two military commission escorts announced that Brigadier General Mark Martins, who is the U.S. Military Commissions Chief Prosecutor, would conduct his briefing at Andrews instead of waiting until we arrived in GTMO. Brig. Gen. Martins spent over an hour with the group updating us on the Hadi al Iraqi hearings, and on the other two major pending cases – the case against al Nashari and the case against the 9/11 defendants. A prosecution staff member provided us with copies of his remarks and a DVD containing all the documents available as of yesterday that are also available on the Military Commission website. Brig. Gen. Martins indicated that he expects to get everything done despite the compressed Hadi al Iraqi schedule. The two issues discussed in the previous blog post will be litigated once the commission has inquired as to whether al Iraqi has restored his current defense counsel to full representational capacity. The observers asked great questions the answers to which revealed General Martins’ intellect and philosophy on the military commission process. He talked at length about the “narrow and necessary jurisdiction” within our justice and counterterrorism institutions. My intuition tells me that not everyone agrees with the fairly rosy picture of the legal robustness of the commission process that he alluded to. Despite that, Brig. Gen. Martins was quite welcoming to the observers, indicating that transparency is crucial and that we play a role in holding the commissions accountable. Several times during the hour Brig. Gen. Martins mentioned the intense adversarial nature of the commissions process. Interestingly enough, we never even met or were introduced to any of the defense team by our escorts. I am assuming we will meet them at some point tomorrow. The hearings in the Hadi case will presumably begin on Tuesday the 22nd, rather than on Monday the 21st. Already, this week’s hearings were reduced from a full week to 3 days. Now, there may only be two days of hearings before we return from Guantanamo on Wednesday evening. Each “Memorial Unit” is a cantilevered bench with a lighted reflection pool, and is inscribed with the name of a victim. The Memorial Units are also positioned to distinguish those victims who were in the Pentagon and those who were aboard American Airlines Flight 77. After the briefing by Brig. Gen. Martins, the observers went their separate ways for the evening. 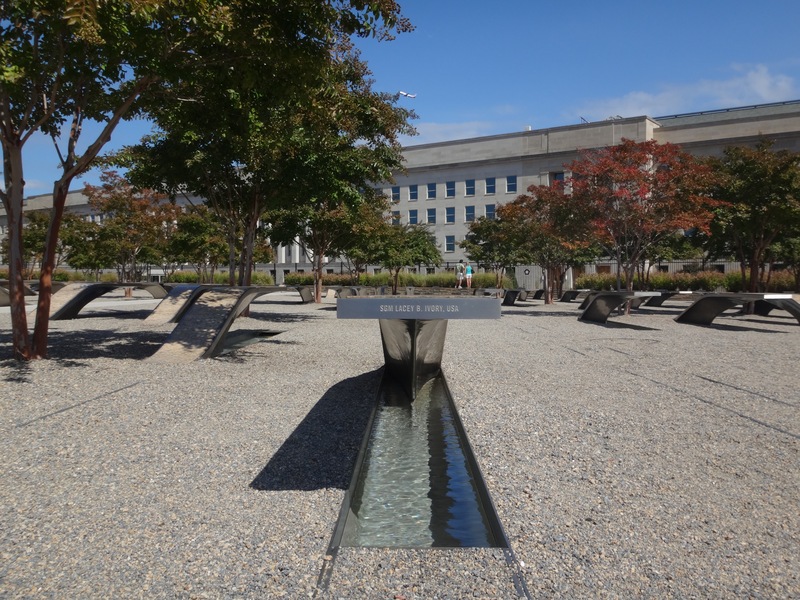 I decided after lunch in D.C. to head to the National 9/11 Pentagon Memorial that captures the name, location, and age of each of the 184 victims. Abd al Hadi al Iraqi is not a defendant in the 9/11 case, but a visit to the memorial seemed appropriate given the reason I am in D.C.
After a 2 hour delay leaving Indianapolis due to inclement weather and a pilot swap, I made it to Washington D.C shortly before noon. I am currently in a hotel across from the main entrance to Andrews Air Force Base. As tomorrow’s flight is a military one, I expect to hurry up and wait. So I anticipate having some time to meet my fellow observers tomorrow morning. On June 9, 2015, the defense team filed a motion to suppress statements al Iraqi made while in custody to federal law enforcement agents between May 2007 and May 2009. The Uniform Code of Military Justice (“UCMJ”) requires Miranda like warnings to be issued prior to questioning. The Military Commission Act specifically exempts the Military Commissions from following this UCMJ requirement. The 35-page defense motion can be found here. The defense first argues the Fifth Amendment and Miranda require the suppression of statements made by al Iraqi because he was in CIA custody and was not read Miranda warnings before interrogation. The defense addresses an argument they expect the prosecution to make, in that the admissibility of the statements hinges whether Miranda applies, but whether the the Fifth Amendment applies. Second, the defense argues whether or not the Fifth Amendment applies, Miranda warnings are required since the Military Commission Act (MCA) requires the exclusion of statements obtained by torture or cruel, inhuman, or degrading treatment. That MCA provision can be found here. The defense motion has a dearth of quotes from a number of judicial decisions that have discussed the right against self-incrimination. The commission will hear argument and receive evidence on the Notice to the Defense of the Government’s Intent to Disclose Classified Information Pursuant to M.C.R.E 505(h)(2). The documents pertaining to the issue listed on the Military Commission are not yet available for download. 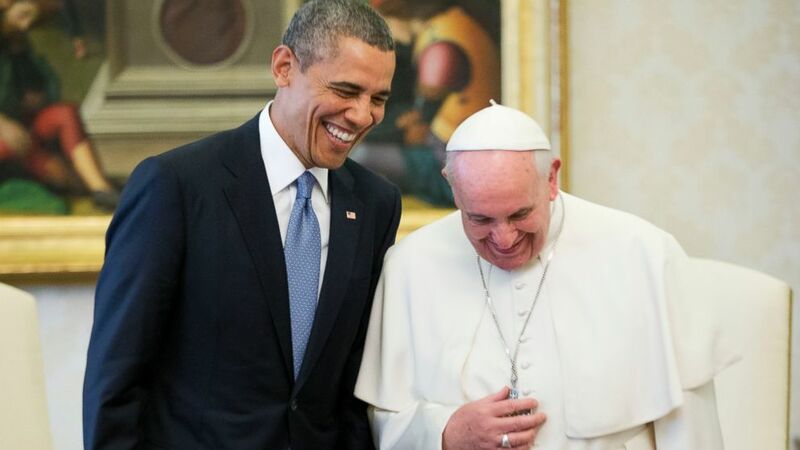 Pope Francis is scheduled to visit Cuba before he travels to Washington D.C next week. Rumor has it he will be in Guantanamo Bay on September 22. Pope Francis, the first pope from Latin America, played a key role in restoring relations between the United States and Cuba. It will be interesting to see if does indeed stop by GTMO and to learn what his interests there may be. I am expected to be joined on this monitoring mission to Guantanamo Bay by 11 Observers from a range of institutions around the U.S. We have been communicating with each other via e-mail, introducing ourselves, requesting and receiving tips on travel to Andrews Air Force Base for our early morning flight to Cuba on Sunday, and organizing logistical matters. I am looking forward to meeting all of my colleagues in just a few days. On Friday, August 28, 2015, the Pentagon confirmed a slot for me to travel to Guantanamo Bay, Cuba to monitor hearings in the U.S. Military Commission case against Hadi al Iraqi. The hearings are scheduled for September 21-25. I was previously scheduled to attend hearings in March 2015. But those hearings were cancelled a few days prior to departure. 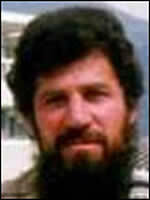 Abd al Hadi al Iraqi is an alleged high-ranking member of al Qaeda who has been held in Gitmo since 2007. Ten days of hearings were scheduled to take place in July 2015 to cover a variety of issues. The night before those hearings were to begin, the defense raised the issue of a possible conflict of interest involving a member defense team. As a result, the hearings were pushed back two days. When the hearings finally began, they lasted just three hours. The court recessed to resolve another conflict with the defense. The court ruled that the hearings would be continued until September. Information about the July hearing can be found here. 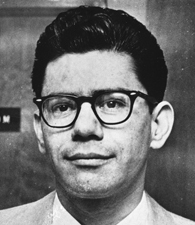 The Military Commission Observation Project (“MCOP”) was founded by Professor George Edwards of the Indiana University McKinney School of Law after the Pentagon granted Military Commission Observer status to the Program in International Human Rights Law that Professor Edwards also founded. MCOP participants can include Indiana University McKinney School of Law “Affiliates”, which includes students, faculty, staff and graduates of the law school. Some IU McKinney Affiliates who have participated are listed on this website. Persons interested in registering for possible travel to Guantanamo Bay or Ft. Meade can find more information and the registration form here. The MCOP sends monitors to Guantanamo Bay, Cuba to monitor hearings live, and to Ft. Meade, Maryland to monitor Guantanamo trials through secure videolink direct from the Guantanamo Bay courtroom. MCOP monitors attend, observer, analyze, critique and report on Guantanamo Bay proceedings. We are seeking to assess whether the rights of the different stakeholders are being met, and to report on whether or not they are being met or not. Obviously the detainees’ rights are front and center. However, defendants are not the only stakeholders we are concerned with. Other stakeholders include the prosecution, victims and their families, witnesses, observers / monitors, and the press. 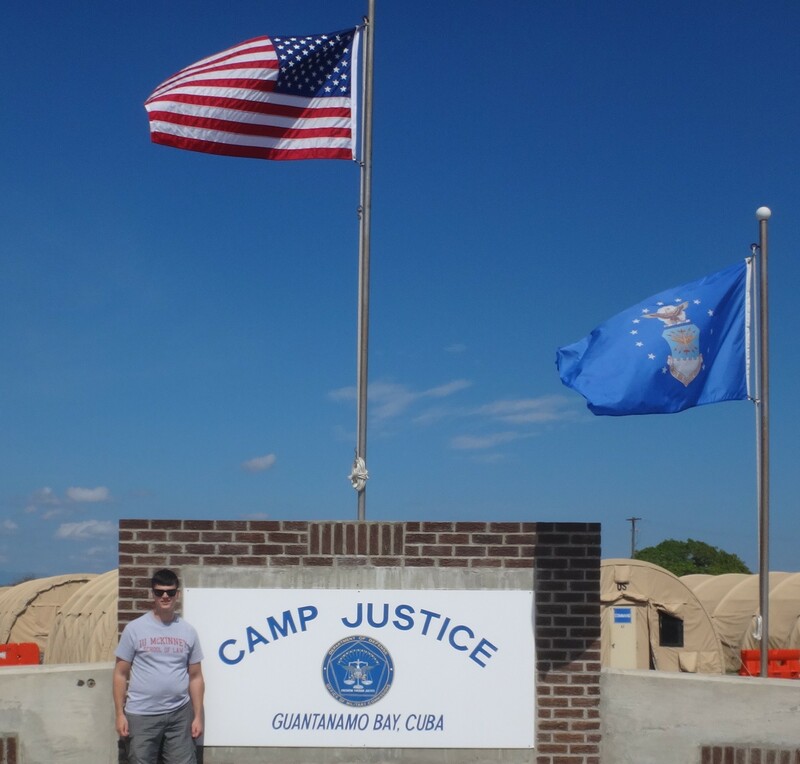 I am not certain why I was chosen to travel to Guantanamo Bay through my Indiana law school’s MCOP, but it could have been in part because of my military background. Having served eleven years in the Indiana Army National Guard, I can perhaps offer some insight as to the rights and interests of the military members who are responsible for GTMO’s detainee operations. Members of the Indiana Army National Guard’s 38th Infantry Division (nicknamed the “Cyclone Division”) have previously supported the mission performed by Joint Task Force Guantanamo (“JTF-GTMO”). Members of the historic “Cyclone” division are currently scheduled for a rotation in Guantanamo Bay in the coming months. I do not know the details as to when exactly they are leaving, how long they will be there, how many are going, or what their exact mission will be. That information is generally not publicized in order to protect the Soldiers and their loved ones. 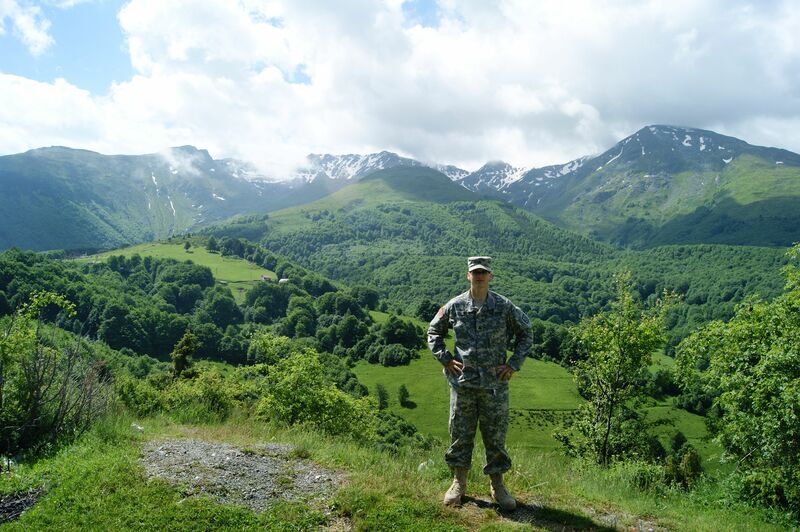 It is vital for military members to maintain Operational Security (“OPSEC”) at all times; a concept sometimes difficult for some military members to grasp in the age of social media. I appreciate the opportunity to be a part of this project. I am looking forward to sharing my experiences and contributing to the Guantanamo Bay Fair Trial Manual section pertaining to the rights and interests of JTF-GTMO personnel.